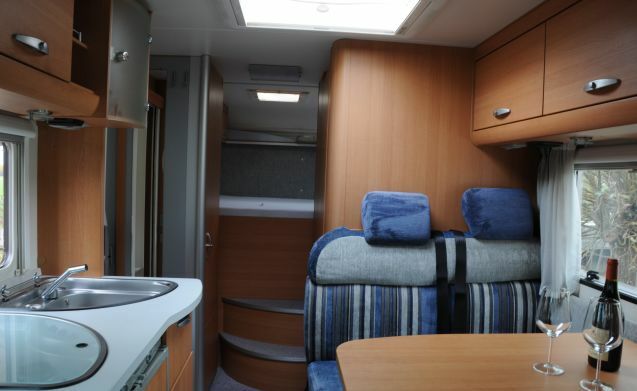 To rent our young, neat and complete half-integral camper. Year 2007 with few kilometers on the counter. 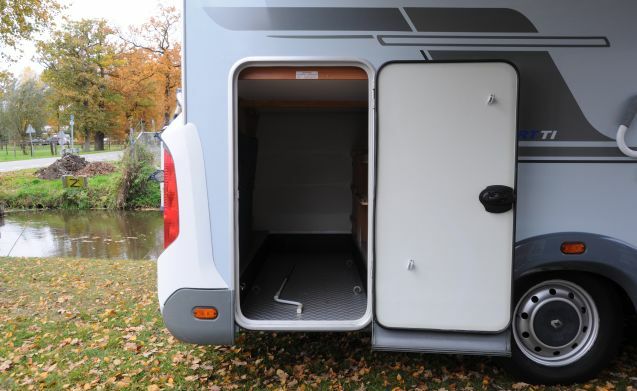 The camper has a lot of storage space, runs delicious and is very complete. 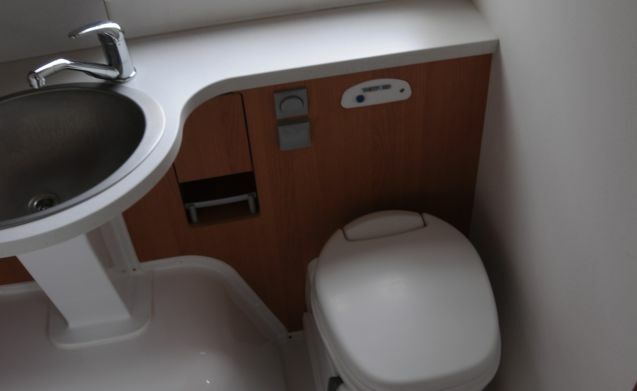 The camper is completely ready for use with full fuel tank, filled gas bottles and clean water tank and sufficient toilet fluid for your trip. 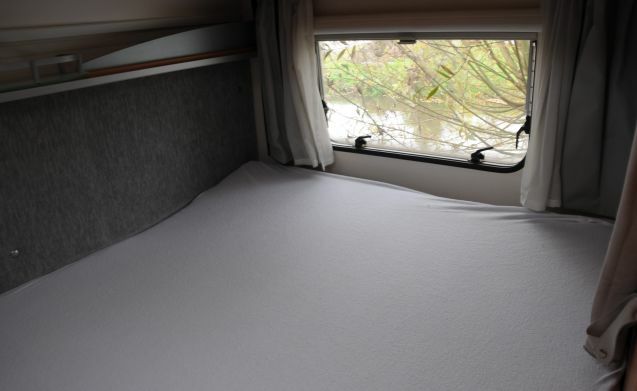 You only need to bring your own bed linen (sheets, pillowcases and duvet cover) and private items. There is a double duvet and two single duvets. Also the price is, with the exception of the kilometers above 1500 km (per week), all-in. So no extra or hidden costs. 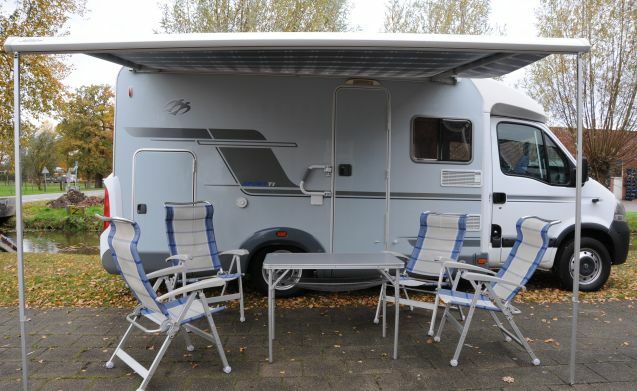 The camper is equipped with air conditioning on the engine. 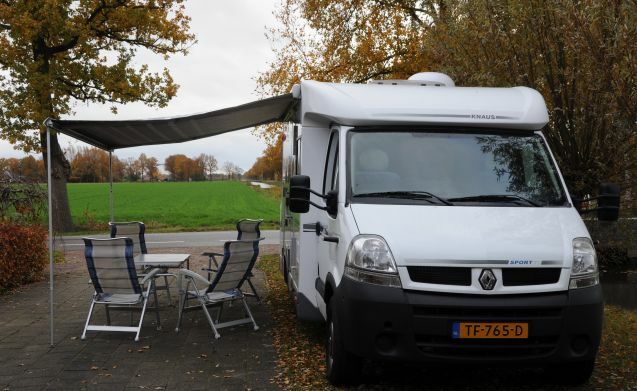 The camper runs on diesel and can be driven with driver's license B. The powerful and at the same time economical 2500 cc diesel engine is strong enough to drive in the mountains. 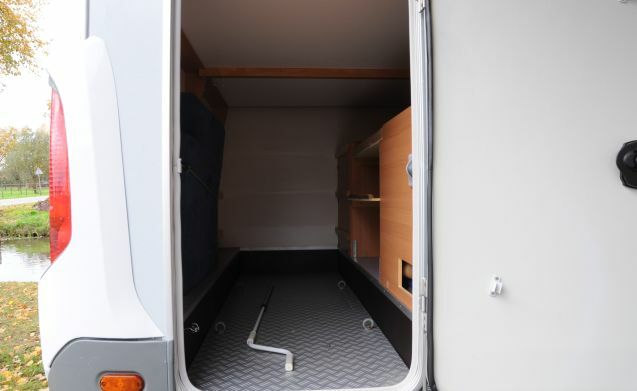 The camper has a length of 6.5 meters. 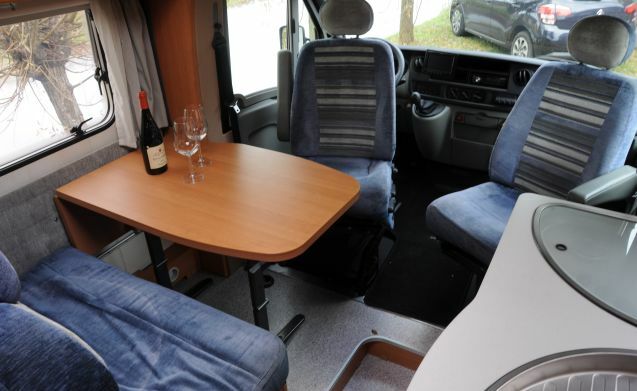 There is a fixed double bed and the dinette can be converted into a double bed. For children this bed is ideal, for adults a little less because the dimensions of this bed are: B 105 x L 140. 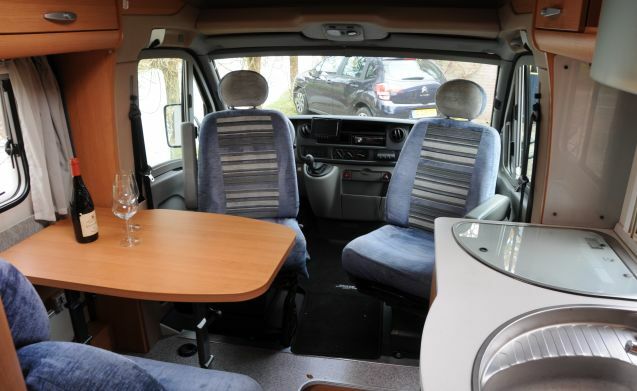 The dinette contains 4 seats, 2 of which (in the direction of travel) fitted with roller belts. Both front seats are also rotatable and this ensures a comfortable seating position (pilot seats). Shower and toilet are available. 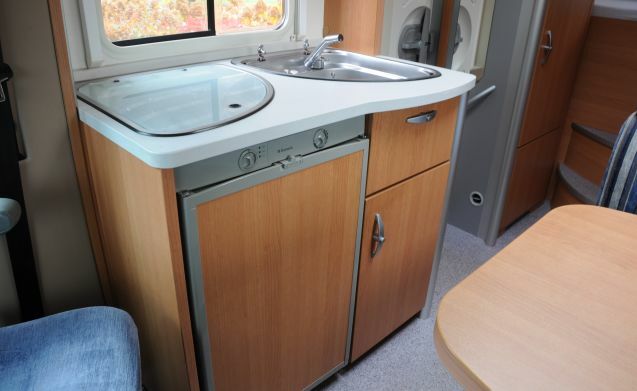 The kitchen is equipped with a 3-burner gas stove and refrigerator, also with freezer. A gas boiler provides hot water for cooking, washing and showering. 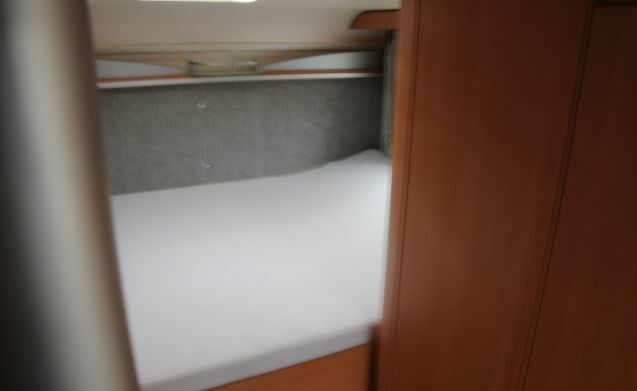 Under the bed there is a lot of storage space and in the camper there are many cupboards. The kitchen is equipped with everything necessary for 4 people. There is a waste water tank and a clean water tank. 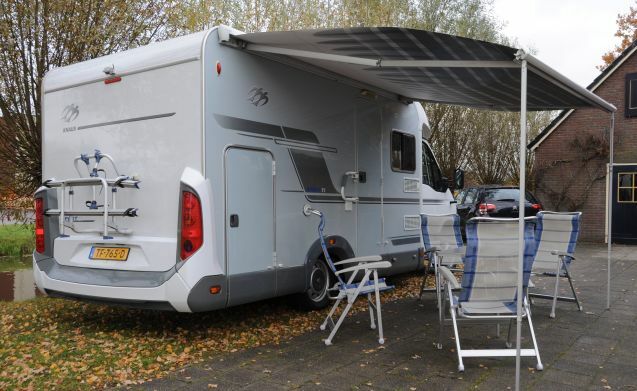 Two bicycles can be taken on the bike carrier at the back of the camper. Ring heating provides heating. For safety a gas detector, smoke / carbon monoxide detector and fire extinguisher are present. 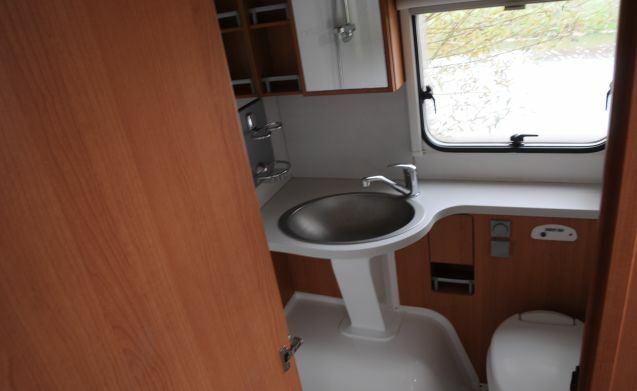 No cleaning costs are charged, we assume that the camper will come back clean. If this is not the case, we charge € 50.00 for cleaning.